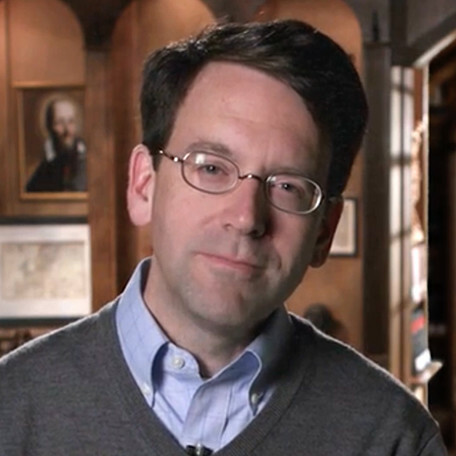 Dr. Christopher Blum leads you on a journey with the saints who led the Church’s rebirth from the ashes of the confusion caused by the Protestant Reformation. As you get to know them, you will discover how powerful – and beautiful – the human heart’s free response to God’s generous Grace is. Dr. Christopher Blum is a professor at the Augustine Institute and also serves as Academic Dean. With a background in the history and philosophy of science from Notre Dame, he specializes in Church history, drawing practical insights for today. Dr. Blum has co-authored several books as well as translating and editing Rose Among Thorns by Saint Francis de Sales. 1. 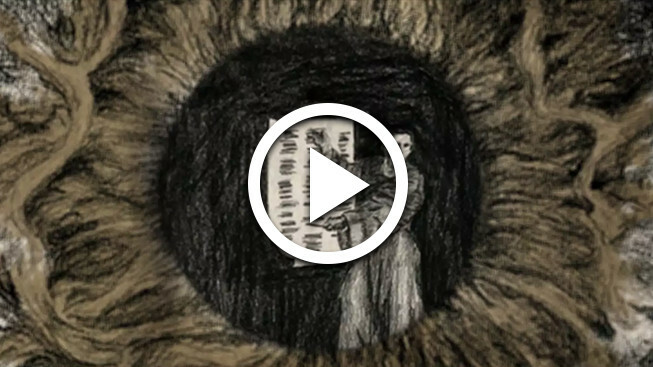 What is True Reformers? 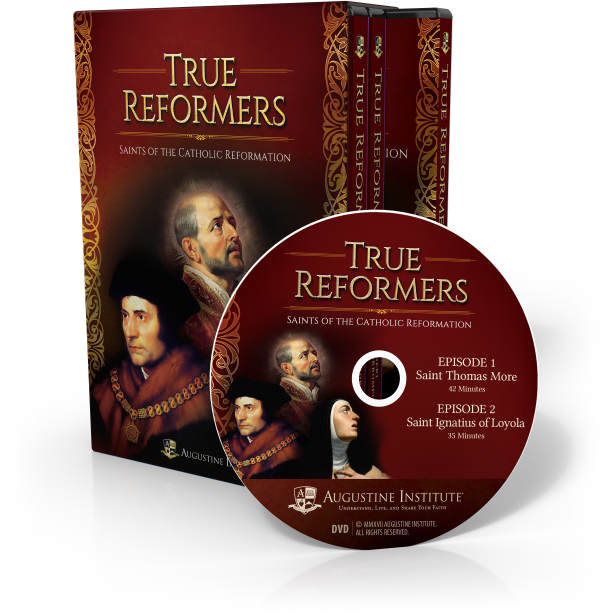 True Reformers is a six-episode series on three DVDs that explores the lives of Saints Ignatius of Loyola, Thomas More, Francis de Sales, Philip Neri, Charles Borromeo, and Teresa of Avila. As Dr. Christopher Blum introduces you to these great saints, you’ll want to stay friends with them for life, even unto eternity, as you discover how they spearheaded the Church’s rebirth after the turbulence and confusion caused by the Protestant Reformation. 2. What are the episodes called? How long are they? 3. What is in the Study Guide? 4. Can I see a sample? 5. Do the DVDs include closed captioning? No, there is not closed captioning. 6. Are these programs available in Spanish? No. We recognize the need for Spanish language resources and we hope to make True Reformers available in Spanish, but there are no definitive plans at the present time. 7. Are these DVDs optimized for International Use? The DVD is NTSC, which means it only plays in certain countries (i.e. US, Canada, Philippines). In the future we are hoping to release a PAL (which is used in Europe, Australia), but as of now there are no definitive plans. 8. Can I stream True Reformers videos online? 9. How many weeks worth of content does each series include? 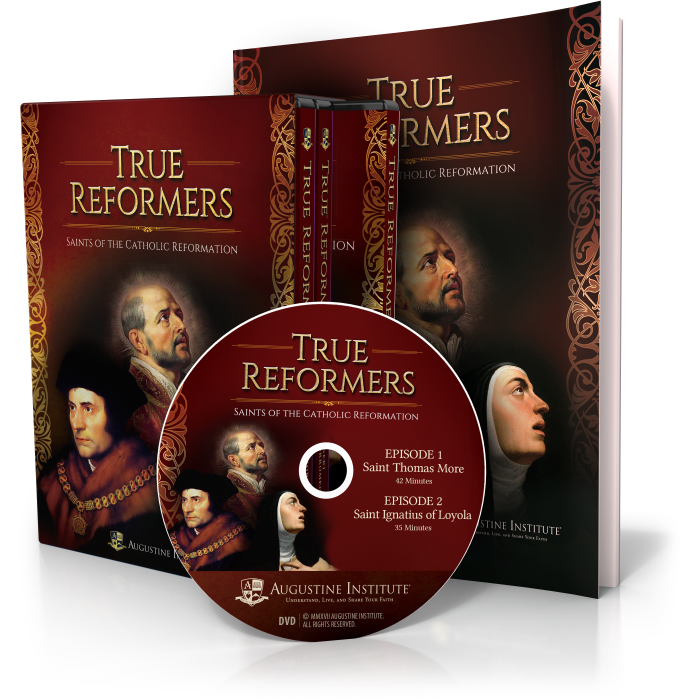 True Reformers s comprised of six episodes, each approximately 30 minutes long. The Study Guide includes instructions for managing a session of 60 minutes or 90 minutes, however parishes can use the resource is best for their community. 11. Who is the intended audience of the program? 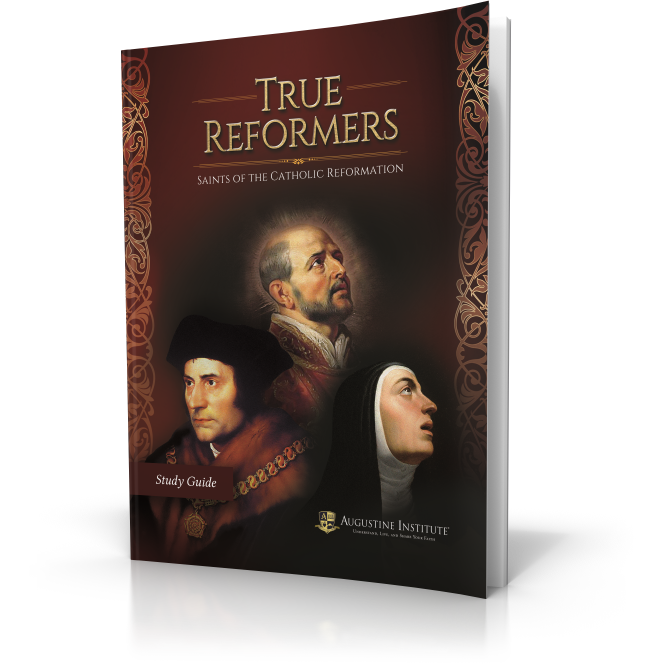 True Reformers is intended for all Catholic parishioners. It can be used for adult faith formation, men’s and women’s groups, catechist formation, young adult ministries, and individually. 12. Do I have to go through True Reformers with a group or will I benefit from it doing it alone? We designed True Reformers to be utilized either in a group setting or for an individual. The Study Guide allows for both group discussion and facilitates personal journaling and reflection as well. 13. 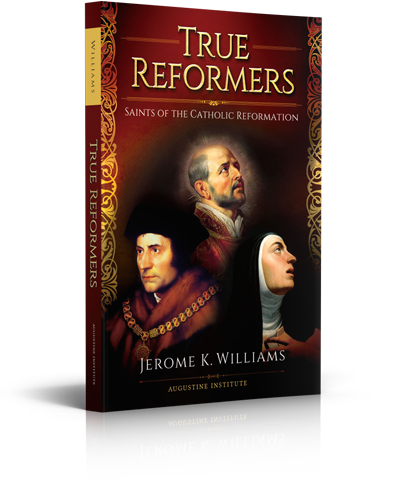 Does True Reformers study have a Nihil Obstat and Imprimatur?